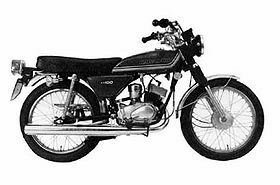 The Kawasaki KH100 was a 100cc, 2-stroke, street motorcycle manufactured by Kawasaki from 1976 through 1977. 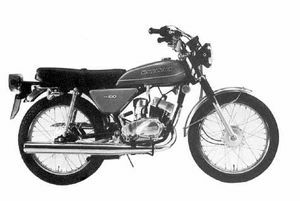 The KH100 was a model number change from the designation of Kawasaki G3SS to keep with the KH series (KH400, KH500). 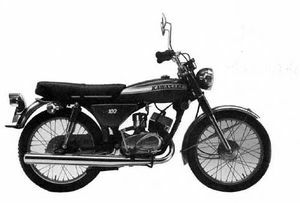 Changes were in color, markings, brighter headlight, and repositioning of the speedometer. Major Changes: Color and marking. Seat band added. Bleed valve added to oil pump. Rotory disc material changed to steel. Major Changes: Model code change for the G3T. Color and marking.